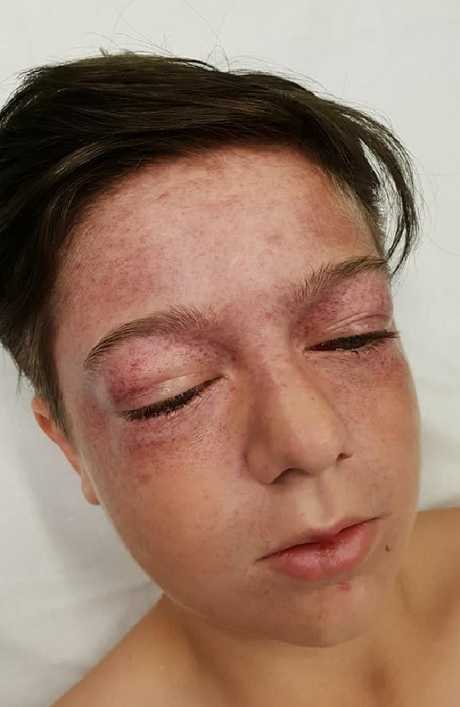 AN 11-year-old boy has been left with horrific injuries which could have killed him after he attempted to recreate a dangerous YouTube stunt. Tyler Broome passed out while been spun at high speed on a playground ride using the back wheel of a moped - a viral stunt known as the "Roundabout of Death". Tyler was rushed to hospital with injuries so severe that doctors said they were usually only seen in fighter pilots suffering the effects of g-force. The centrifugal force generated by the spinning forced fluid and blood into his head, leaving his face bruised and his eyes bulging and bloodied. 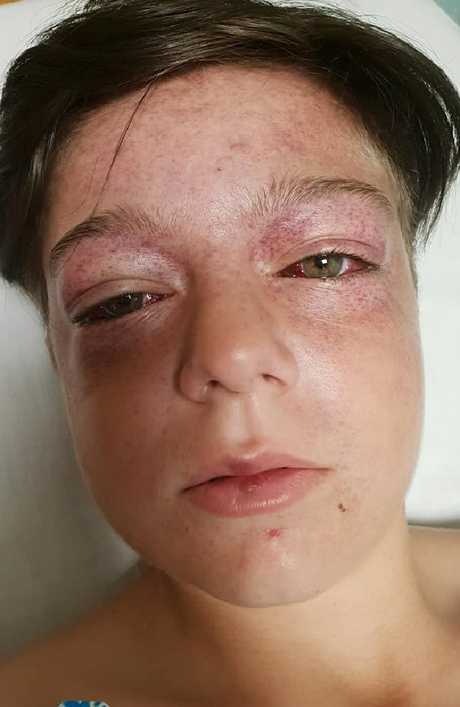 In a Facebook post, the schoolboy's mother, Dawn Hollingworth, said it was feared her son could have suffered a stroke due to the extent of the swelling and pressure in his head. Next to confronting images of Tyler in hospital, Ms Hollingworth urged YouTube bloggers to stop posting similar videos. 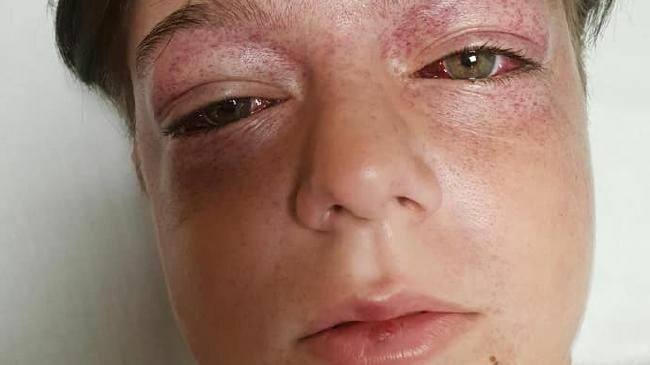 "To all the YouTube bloggers who keep posting dangerous pranks that young 11-year-old boys think looks like fun this is the result this evening SO STOP POSTING PRANKS," she wrote. "His injuries were so rare the resus [resuscitation] staff have never witnessed such injuries and had to research it before they could treat him. "I could of easily lost my son tonight and wouldn't want any parent going through what my family are tonight." A 20-second video also shared by Ms Hollingworth shows her son laying in the middle of the roundabout ride at a local park in Tuxford, Nottinghamshire, while it is spun with the back wheel of a moped by an older boy. As the ride begins to slow, you can see Tyler slump forward as he tried to sit up. A girl can be heard giggling and asking: "Has he passed out?" Tyler was found unconscious by a passing teenager, after the teens who coaxed him to recreate the prank allegedly fled after he passed out. "As for the scum bags who call them selves friends who laughed so loud when he passed out and then left him alone unconscious in the park I and the police know who you are," Ms Hollingworth wrote on Facebook. "I have posted this video not for any sympathy but purely in the hope that young boys see this and do NOT repeat this YouTube prank."